You have what it takes to turn your brain health around. Have you been to doctor after doctor and specialist after specialist but are still struggling with the same chronic brain condition? Do you finally want to get to the root cause of the neurological health challenges keeping you from living an extraordinary life? Are you looking for a doctor who truly listens, that can help you connect the dots, and give you a big picture look at your health– PLUS a personalized roadmap with the exact next steps you need to take to get to where you want to be? Struggling with a chronic health issue can be difficult, challenging and overwhelming. I know, I’ve been there. But guess what? 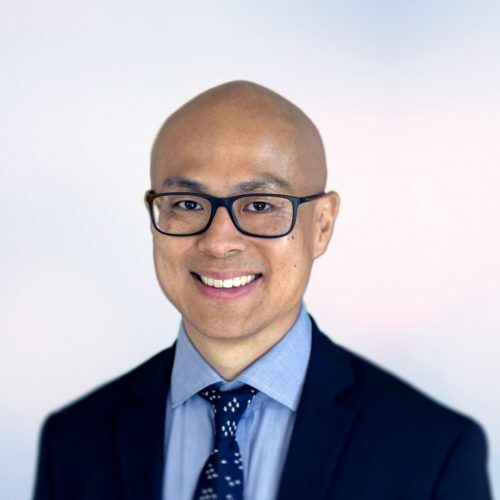 My name is Dr. Titus Chiu and I’m an award-winning speaker, #1 bestselling author, and Functional Neurologist. I’m passionate about helping people struggling with chronic neurological conditions such as Post-Concussion Syndrome, anxiety, brain fog and more, experience a whole new level of health by getting to the root cause of what’s ailing you. My personally trained team and I use the most comprehensive neurological and advanced laboratory testing available to come up with a treatment plan customized for your specific needs. We’ve used Functional Neurology, Functional Medicine and Infrared Laser Therapy to successfully treat thousands of patients throughout the years suffering from brain and autoimmune conditions like concussion, anxiety, depression, chronic migraines, vertigo, Hashimoto’s, Alzheimer’s and dementia, brain fog, fatigue, digestive disorders and more. 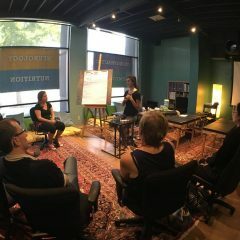 My approach is very comprehensive and thorough– I’ll listen to your whole story, connect the dots, offer expert advice, prescribe cutting-edge treatment protocols and teach you how to take control of your own health so you can live an extraordinary life. Along the way, you’ll discover the specific things that your brain and body need to thrive– as well as the bad stuff that’s holding you back. So whenever you don’t feel like you’re running on all 8 cylinders you’ll be empowered with this newfound understanding of your brain and body and know exactly what to do to get yourself back on track. But let’s be clear– while I’m uncovering the obstacles that are holding you back, connecting the dots and giving you guidance, direction and support, its up to you to take the necessary steps towards achieving health and wholeness. Knowledge, information and self-awareness are wonderful things to have but it’s action that leads to change. So if you’ve been suffering from the symptoms of a broken brain or have seen everyone and tried everything, my Modern Brain team and I will give you guidance, support and cutting-edge treatment protocols on your journey to healing, discovery and empowerment. Comprehensive neurological evaluation, advanced eye movement exam, reflex and reaction time testing, computerized cellular hydration testing, thyroid assessment, abdominal exam, liver palpation, immune testing, fat-to-muscle ratio, nutritional testing and more– to identify the root cause for your symptoms. Dr. Chiu puts the pieces together for you and gives you a clear roadmap for healing. Explanation of the root cause for your symptoms, what he can do to help you, what you can do to help yourself, individualized treatment plan and next steps to get you where you want to be. Recommendations for advanced Functional Medicine testing as needed. Safe, gentle and natural in-office treatments to heal your brain and strengthen your body– without the use of drugs or surgery. Functional Neurology, brain retraining, low level laser therapy, infrared sauna therapy, vestibular rehabilitation, brain-gut therapies, light therapy, brain-balancing massage, exercise with oxygen therapy and more! Feed your brain and body what it needs to thrive! Nutritional Cheatsheets, Weekly Planners & Recipes, and Lifestyle Handouts to accelerate your healing. Take only the supplements you need and get rid of the rest! You’ll receive targeted supplement therapy recommendations that are specific to your brain's unique needs. 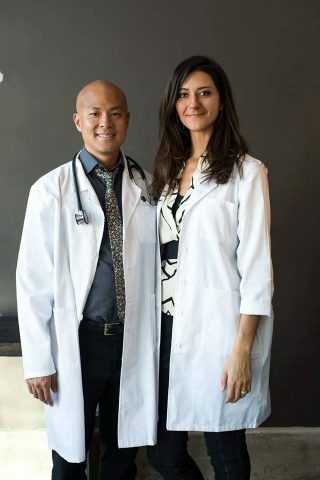 Step One: Review the information on this page, as it will give you a sense of Dr. Chiu’s unique approach to care and answer most of your initial questions. Step Two: Complete your online application to become a patient. We personally review every application and will respond within 5 business days to let you know if you’d be a good candidate for care. Step Three: Our office will contact you to answer any additional questions you may have and suggest an action moving forward. We look forward to helping you experience a whole new level of health.